So what's happening here? Well, we've run into our first bug. You may be using a version of Drupal that was released after these videos were recorded and so this bug may be fixed. But let's go ahead and take a look at how we can work around this as an example of what to do when we run into a bug. First of all we need to backtrack a little bit and figure out what we might have done that triggered this error to occur. Well the only thing that we did was we went into the appearance page and went to the settings for our theme and then toggled off the site name setting. So that itself doesn't seem like it should trigger something. But maybe something happened when we saved that form. So let's go ahead and go back to the appearance page. Let's go to "Settings" under Bartik and then let's scroll down to where our logo image settings are here. Ok. So when we saved this form before, when we uploaded our logo, we simply put in an image here. Now we had the option of putting a path to a custom logo. This would be if we had one already in our theme that we wanted to point to but we didn't do that so what we see here was automatically generated by Drupal after we uploaded the logo. So it looks like what's happening now is that it looking for "logo dot png". Now this seems a little suspicious to me because it's pointing to the Drupal root directory and typically you wouldn't see an application putting files directly in that. Instead it would be in a sub directory where it aggregates all of the files used by the application. So let's go ahead and see if we can find where this "logo dot png" file is and maybe we can point to the right place. 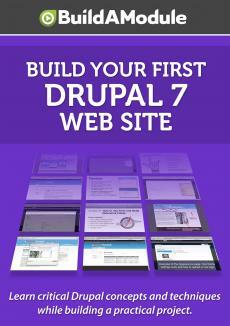 I'm going to go ahead and jump to the Drupal site directory.